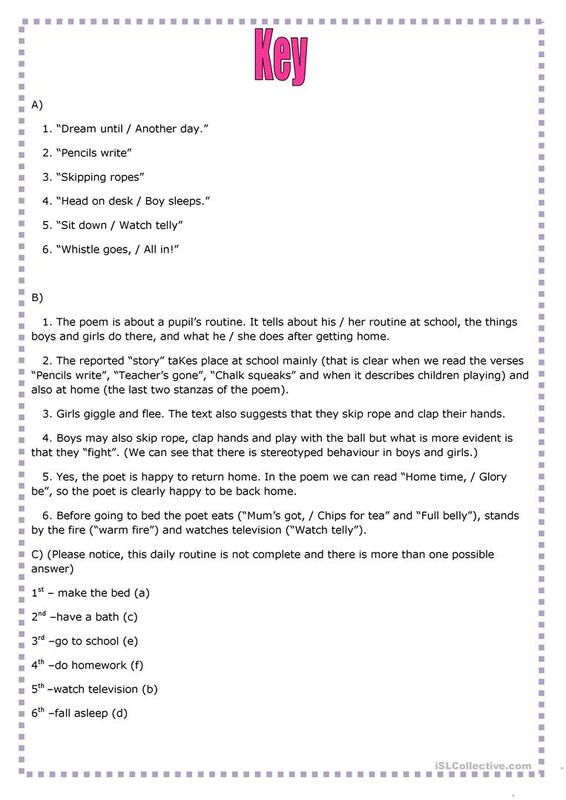 A fine poem about a pupil's routines and several comprehension and vocabulary exercises. An answer key is included. This downloadable teaching material is intended for business/professional students, high school students and elementary school students at Elementary (A1), Pre-intermediate (A2) and Intermediate (B1) level. 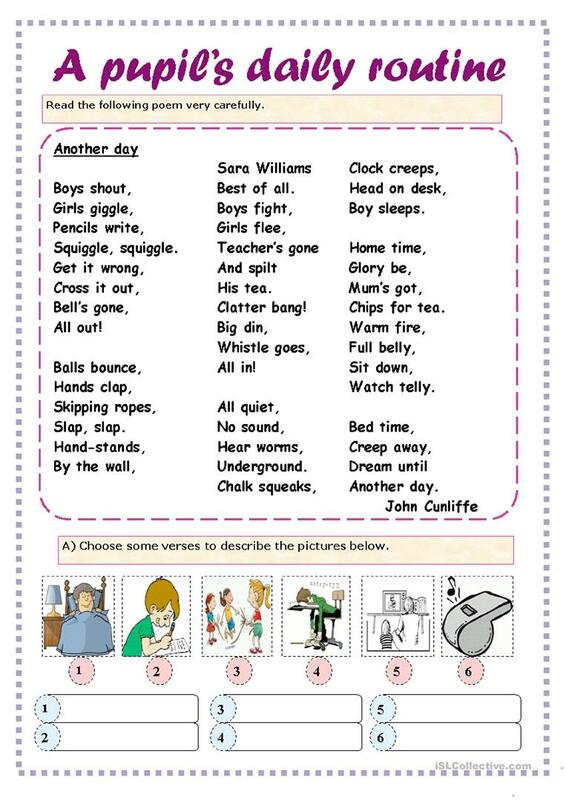 It is aimed at consolidating Commands (imperatives) in English, and can be used for developing your learners' Spelling, Speaking, Reading and Writing skills. It centers around the theme of Daily routines. The key is provided, too. a member since November 2010. I like to share and I hope my resources will be useful to you as yours are to me.